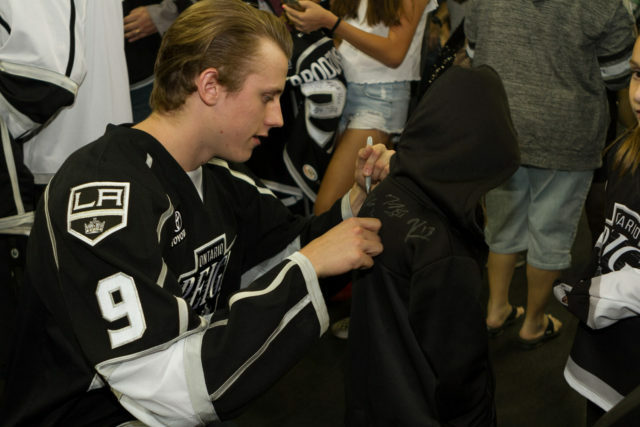 The Background: Matt Luff signed a three-year, entry-level contract with the Kings in September of 2016 after a breakout season in the OHL. Prior to signing his deal, Luff collected 57 points (27-30-57) from 61 games to lead the Hamilton Bulldogs in scoring during the 2015-16 season and followed it up with 49 points (25-24-49) from 45 games played the following season. 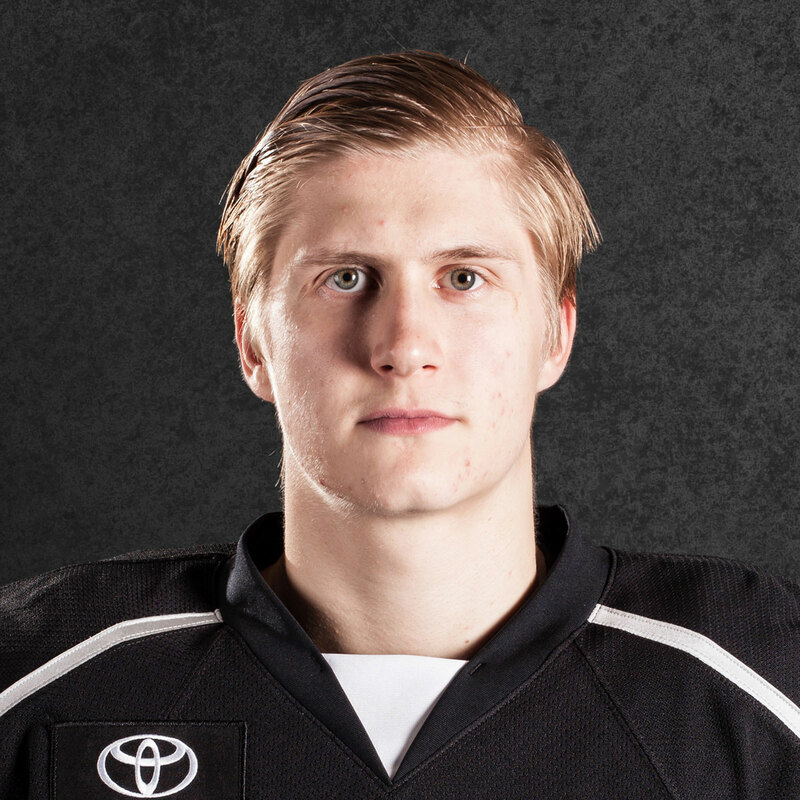 After the 2016-17 campaign, Luff made his professional debut with Ontario and picked up an assist and a +1 rating from two games with the Reign in April 2017. The Season: After his cup of coffee at the end of the 2016-17 AHL season, Luff began the 2017-18 campaign as a full-time rookie with Ontario. 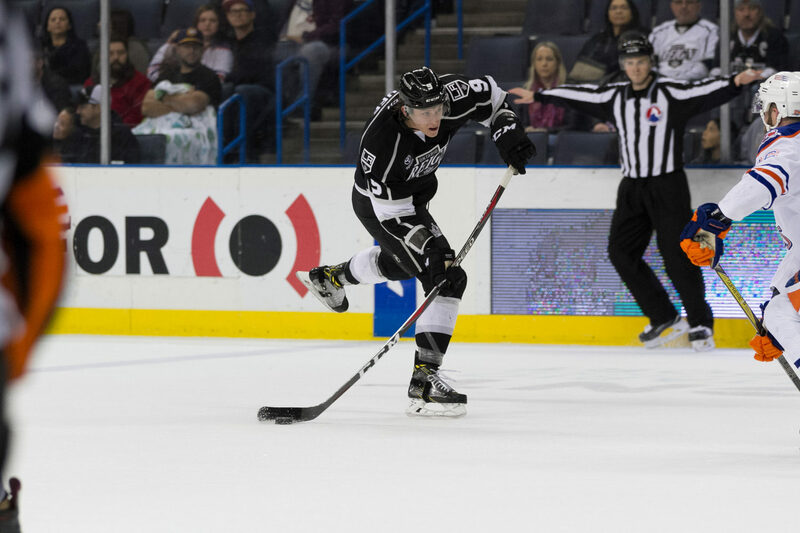 The 6-3 forward made his season debut in the Reign’s opening game against San Antonio and went on to become a regular in the Ontario lineup. Luff collected his first assist of the season on October 21 against Bakersfield and the first goal of his professional career on November 1 against San Jose. After four scoreless games to open the season, Luff collected 12 points (4-8-12) from his next 15 games. Luff picked up a least a point in 10 of those 15 games, including a pair of multi-point contests (2 goals on 11/19 and a goal and an assist on 12/5). The Reign went 9-5-1 over that span to help correct their slow start to the season and the rookie forward was tied for second on the team in scoring through the first 20 games of the season. 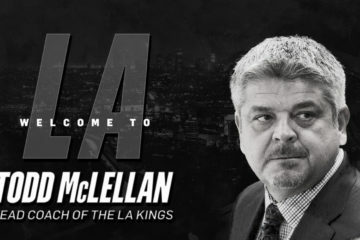 Luff then went the next eight games with just one goal, against Stockton on December 15, before he picked up five points from seven games, including his second two-goal outing of the season on 12/29 against the Heat. Overall on the season, Luff tallied six points (3-3-6) from eight games against the Heat, tied for his largest output against a single team (six points against Bakersfield). 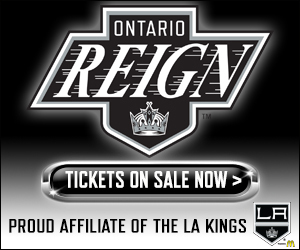 As the season progressed, Luff appeared in all but one Reign game, missing only March 24 against San Jose. 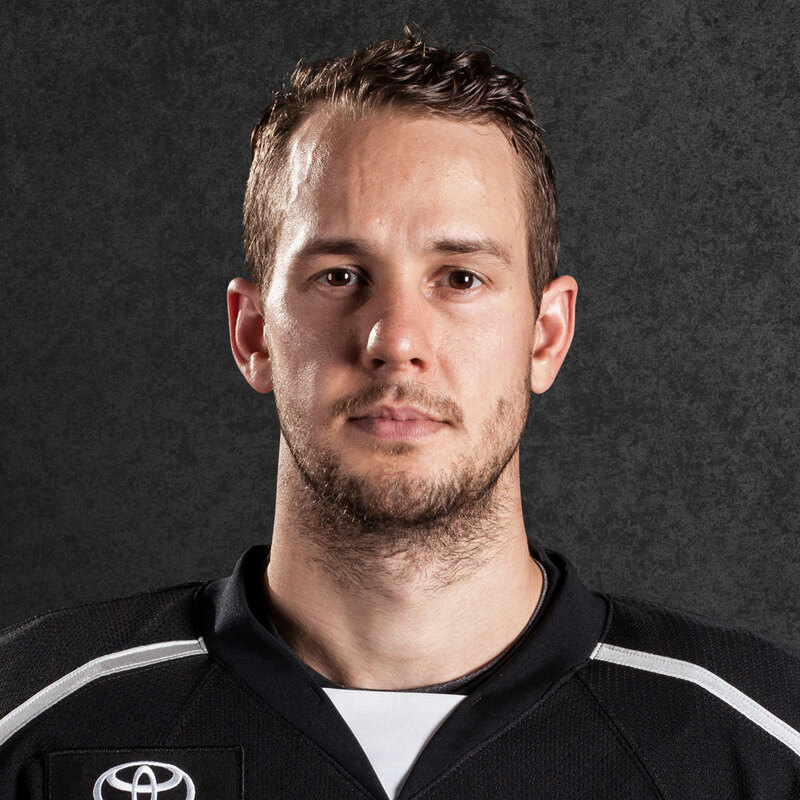 Luff’s 67 games played trailed only team captain Brett Sutter and his 29 points ranked eighth on the Reign overall, second amongst first-year players. 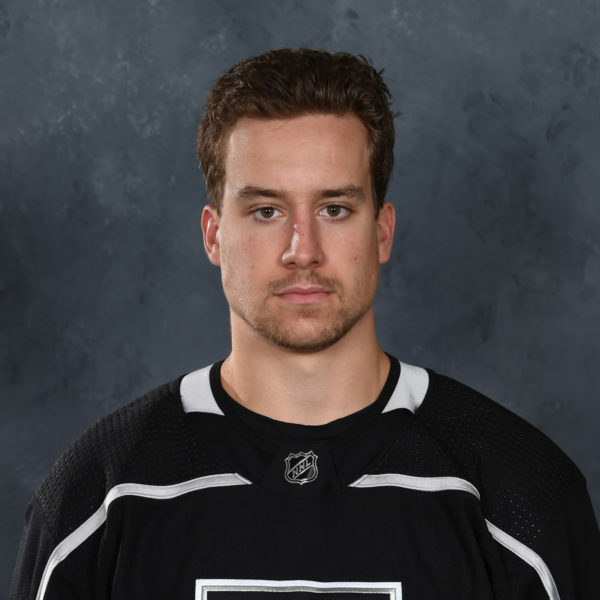 Luff’s 29 points are the third most all-time by a Reign rookie, higher than the likes of Adrian Kempe and Jonny Brodzinski amassed as first-year players. Brodzinski went on to make a substantial jump from Year 1 (28 points, 0.43 points-per-game) to Year 2 (49 points, 0.83 points-per-game), a move that Luff will look to replicate. 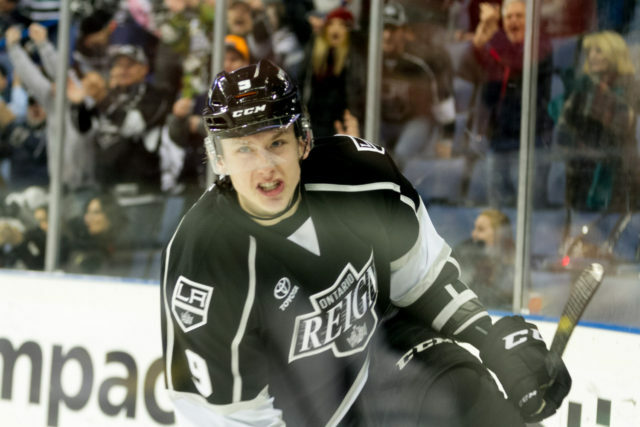 Progressing into the postseason, Luff appeared in all four games in the Reign’s loss to Texas. Luff found the back of the net in Game 2 in the Lone Star State, his first career goal in the Calder Cup Playoffs, a marker that went down as the game-winning goal. Luff finished the 2018 postseason with the one point, an even rating, eight shots on goal and two penalty minutes. I am excited about what’s to come for Matt Luff in his sophomore season. I feel he was a sneaky, underrated player who flew under the radar in his first season. He was a solid player and finished just one point shy of 30. Luff has a great shot with a quick release, solid speed, and great size at 6-3, 205. 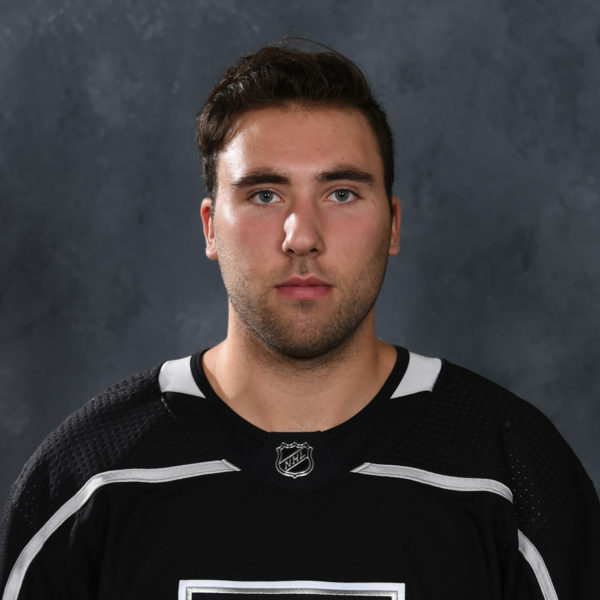 At just 21 years old, I am sure his weight will increase but with that said, he is already very commanding when he drives the net and holds his own against even the most physical defenseman in front of the crease. I’m no scout but I think Luff is going to become a thorn in the sides of goaltenders around the league – He has the skill and build to be a multi-tool, power-play player, in front or behind the net, off the wing, etc. 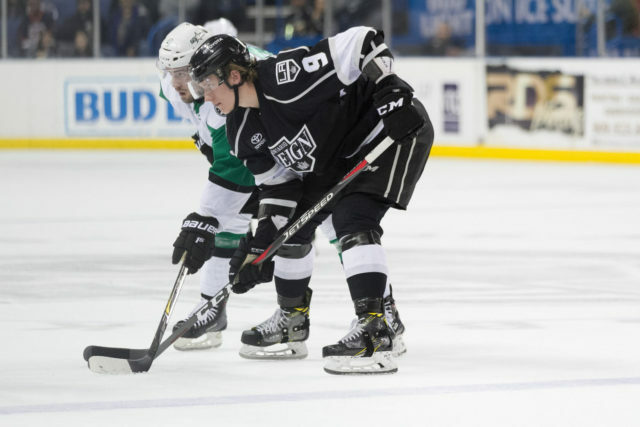 A Look Ahead: Luff will have every opportunity to increase his role in the Reign lineup this season. 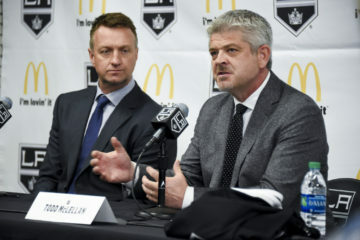 With many veteran players moving on to other organizations (Michael Mersch), possibly full time to the Kings (Mike Amadio, Jonny Brodzinski), or still free agents (Justin Auger, Andrew Crescenzi, T.J. Hensick), openings in the Top 6 could be available for younger players to seize. Luff showcased a strong offensive game in his first season with Ontario and should see the chance to improve upon those numbers in his second professional season. With a 6-3 frame and good speed and skill, Luff is certainly one to keep an eye on as he enters his second pro season.